What do I do if I have a lost filling? Remove the loose or lost filling. If it is loose or came out while you were chewing, remove it from your mouth and discard of it immediately. We will do our best to provide at least a temporary solution the same day. We will then set another appointment for a more permanent solution. If we have flexibility in our schedule, we will provide the permanent filling to resolve the issue immediately. While waiting for your dental appointment, you will want to practice good oral hygiene to prevent bacteria. Brush carefully where the filling used to be and after eating. Then rinse your mouth with warm salt water to remove remaining food. Use a temporary filling material. You may experience discomfort or sensitivity to hot and cold, but covering the area with over-the-counter dental cement can help. Hall and Butterfield Family Dentistry wrote this article about what you can do when you have lost your filling. Why did I lose my filling? There was not enough tooth structure for the filling to hold onto. What if I keep losing the same filling? 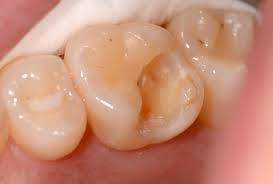 If you continue to lose the same filling, it is possible a dental crown may be a better option for you. So how can I prevent losing my filling? 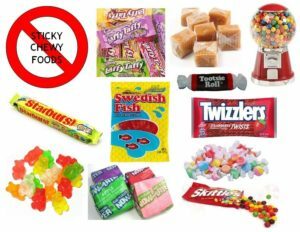 Avoiding sticky or hard foods. Preventing grinding or clenching your teeth. If you are concerned about this, talk to us to see what options we have for you. If you are looking for more information, Norton Dentistry has written an article that includes more on preventing a lost filling.